In Fallout 4, there is no level cap, which means that you can get as bad as you can – but early on you should focus on power leveling in order to get those perks to boost your character and be able to pick master locks. Even though leveling up comes naturally from playing the game, if you want to focus on leveling up quickly, we have a guide for you: it’s mostly basic stuff and common sense knowledge, but you might still not know about some of these tips so they might come in handy. Let’s not waste any time and let’s check out below how to level up quickly in Fallout 4! I would personally recommend to do as many side quests as possible and focus on the main mission only when you have nothing else left (or at least find a balance). Completing quests rewards you with a ton of XP points and some of the side quests are extremely easy. Make sure to complete the quest as you will sometimes get XP when completing milestones, and a nice bunch of them at the end. I would not suggest investing in perks that give you extra XP, but you can certainly use some extra points in intelligence. Every extra point grants you 10% additional XP points whenever you get experience, so the more you have, the more XP you get and the faster you level up. You already know how to build the perfect settlement in Fallout 4, but you probably didn’t know that you can use this as a method to level up quickly, especially early on in the game. Simply scrap all the junk that you have and build all sort of stuff around your settlement. This will reward you with XP points – and every little bit counts. I am not really sure that there’s such a thing like “moddy,” but one thing is clear: if you start modding weapons and armor and even do some cooking, you will get some XP. The number of points you get here is not huge, but every little bit counts, so make sure that you always tinker with your weapons and armor to get extra armor. Or just some fancy clothes. In other words, whenever you enter a settlement or you anticipate some chats, but on a suit and a cap that increase charisma and try to go for all the dialog options that ask for extra money, barter or persuade (usually the yellow/orange/red dialog options). Succeeding at those will give you a nice chunk of XP points, plus all the benefits of succeeding. Or at least keep on fighting. For every slain enemy, you get some extra XP points. But if your companion takes them down, you get none, so you might want to get rid of them for a while and head into a few battles alone to harvest all the experience points you can handle. Remember that for such cases, the Lone Wanderer perk is a must have! These would be for now the basic ways to get extra XP points in the game. 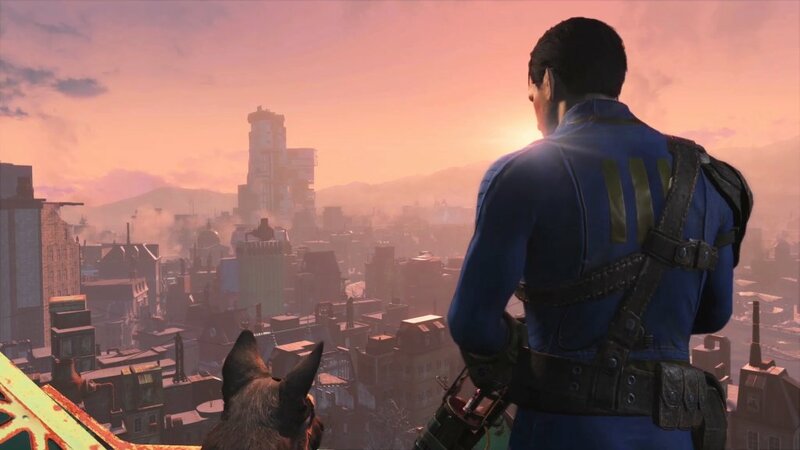 Did you manage to find any other easy method to level up quickly in Fallout 4? Let us know by commenting below.